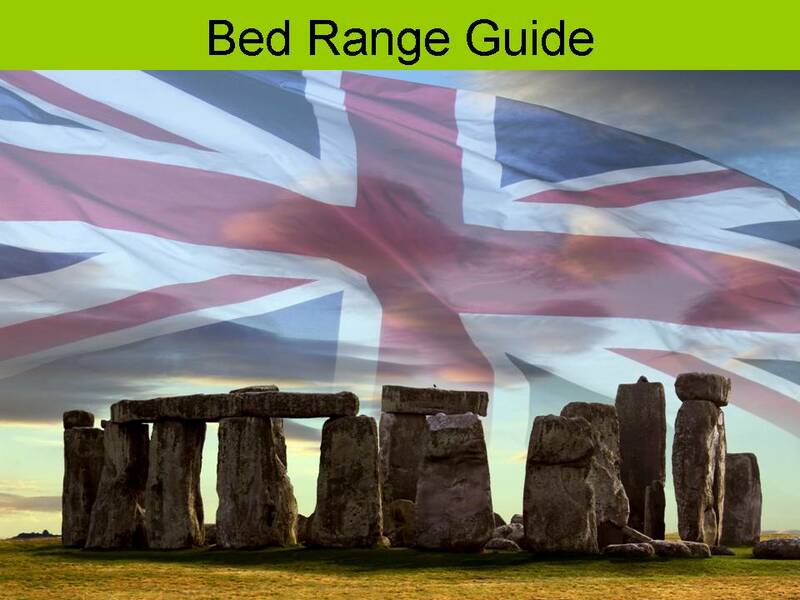 We manufacture mattresses and divan bases across a wide spectrum of sizes. 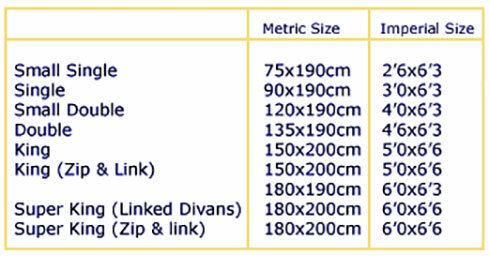 Consult our range options sheet for details of available sizes and divan options for each model. We also offer a bespoke operation where we are able to manufacture products to non-standard sizes. Please contact us for more details and to tell us your specific requirements. 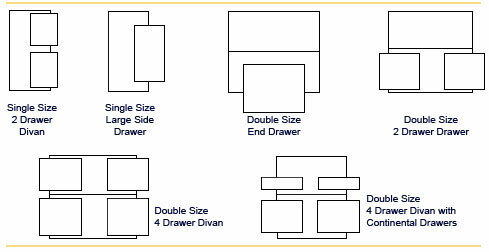 Continental drawers are specifically designed for use with bedside cabinets. All our drawers are beech laminated, fitted with easy glide metal runners and are upholstered to match the divan base. Introduced in 2011, was our Large End Drawer option on 135cm (4'6) and 150cm (5'0) divans or large side drawer divans on all single sizes. 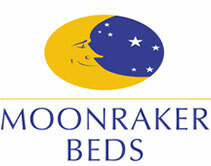 Our range encompasses a choice of spring systems exclusive to Moonraker beds. 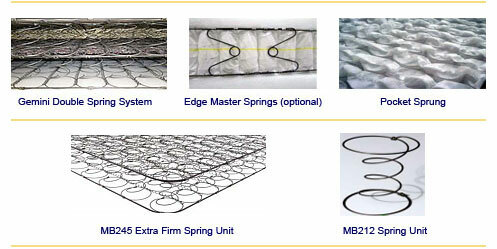 Our MB212 standard firm spring system or our MB245 extra firm spring system. All spring units have edge to edge bracing and full rod edge support.The Zuirch and Bamboo Gemini featuring triple rod edge support. Our range of pocket sprung units encompasses a host of spring counts from 1000 through to 5000 as detailed on the relevant product pages. Pocket sprungs are small diameter springs housed in their own "pocket" offering a greater level of independance and active support. With the growing trend for laminate or wooden flooring we are able to provide divan bases with glides rather than castors but this must be specified at the time of ordering. Here at Moonraker we continually seek improvements to our designs and specifications and reserve the right to amend specifications, prices and cover designs with or without prior notice. Actual colours of products may vary slightly from our photographs due to the differences in computer hardware, and settings.